LITTLE ROCK, Ark. (AP) — It’s not just the U.S. Supreme Court. The bitterly partisan fight over President Donald Trump’s nominee for the nation’s highest court, and the questions it has raised about the judiciary’s independence, mirror what voters around the country are seeing in state supreme court races. Outside groups are spending millions of dollars in those races trying to sway voters with attack ads and mailers. Some of the same national groups that backed the nomination of federal judge Brett Kavanaugh are spending big hoping to reshape state courts that will decide cases on redistricting, voting rights, abortion restrictions and other issues. Voters in 29 states will cast ballots in November for state supreme court justices. The heated campaigns for some of those seats, in Arkansas, North Carolina, West Virginia and elsewhere, have already rivaled those for Congress or governor in their intensity. In Arkansas, outside groups earlier this year spent more than $1.6 million in an effort to unseat a justice who drew the ire of conservatives for past rulings on voter ID laws and tort reform. 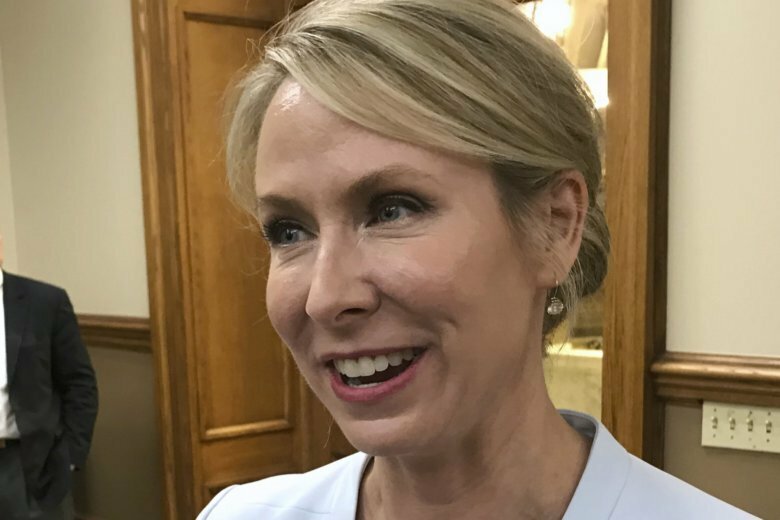 Two years after similar attacks sunk her bid for Arkansas chief justice, Justice Courtney Goodson is portraying her campaign for re-election as a referendum on the influence of so-called “dark money” spent by national groups that do not reveal their donors. “I think the judiciary is under attack and, not only that, it’s the independence of the judiciary that is at stake here,” she said. In an unusual move, an Arkansas judge last spring prohibited several television stations from running a group’s ad attacking the incumbent justice over gifts from donors and a pay raise the court received. The 30-second spot came from the Judicial Crisis Network, a Washington-based group that also has spent millions on television ads supporting Kavanaugh’s confirmation to the U.S. Supreme Court. The group spent more than $600,000 two years ago targeting Goodson during her unsuccessful bid for chief justice. Goodson is being challenged by David Sterling, a former Republican candidate for attorney general who cites his membership in the Federalist Society and the National Rifle Association in his campaign literature. Sterling has said he is not connected to the attack ads, but also will not denounce them. The Republican State Leadership Committee said it is closely watching judicial races in several states as it considers where to spend ahead of November’s election. In Arkansas, the group ran ads on behalf of Sterling that parallel national Republican talking points. They promoted him as a “strong conservative” and railed against the “fake news media,” while images of CNN’s Anderson Cooper and House Democratic Leader Nancy Pelosi flashed onscreen. Spending by outside groups in recent years has dwarfed that of candidates themselves in virtually all hotly contested judicial races. It is allowed even in the two states — New Mexico and West Virginia — that have public financing of judicial races. Outside groups spent more than $27 million on state supreme court races nationwide during the 2015-16 election cycle, according to the Brennan Center and the National Institute on Money in State Politics. The vast majority of states, 38, use elections in some way for their supreme courts, and in just three states governors appoint justices to life terms. Some of the biggest supreme court battlegrounds this year are in states where the court has clashed with the legislature. In North Carolina, where the races are now officially partisan, one Democrat and one Republican are trying to unseat the incumbent justice, a Republican. Democrats hold a 4-3 majority on the court and could expand it further in November. More than $5.4 million was spent on a seat for North Carolina’s high court two years ago, most of it from outside groups. Twenty candidates are running for two Supreme Court seats in West Virginia, where four justices were impeached by the Republican-led House following questions about costly renovations that evolved into accusations of corruption, incompetence and neglect of duty. The spending has become campaign fodder for some candidates, with one hopeful bragging that his office desk and chair cost $8. Associated Press writers John Raby in Charleston, West Virginia, and Gary Robertson in Raleigh, North Carolina, contributed to this report.